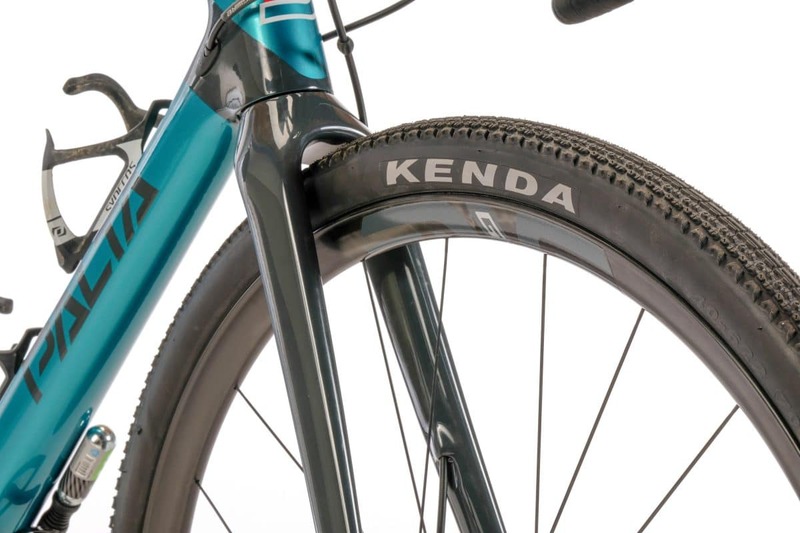 The Kenda Flintridge in a size 40mm seems to be a great match for the 23mm internal width rim. Enve has filled the gap between their SES 4.5 AR and M525 with the new G series, the G23 and G27. Below is the press release but keep a look out for our first ride as Editor Troy Templin will be taking them on their maiden voyage during Saturdays DK200. Here are a few studio shots of the wheels. What we can confirm is that they were extremely easy to mount tubeless and we only needed a floor pump. We opted for the Dt Swiss 240s hubs but they are also offered with a Chris King hubset too. We opted for the G23 for our Kanza build. The G series borrows from the mountain side and has a hookless bead. 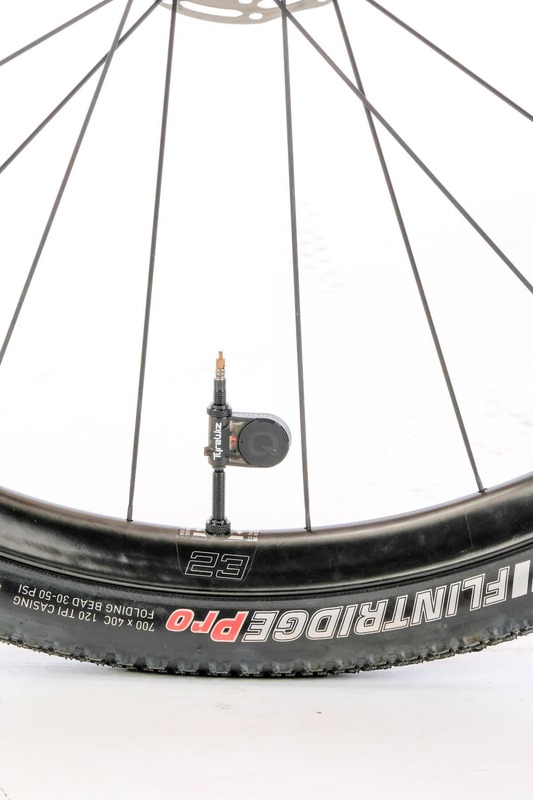 We have been testing the Tyrewiz and the new Enve tire pressure recommendations. ENVE is pleased to announce the G Series, a product line focused on the needs of modern gravel racers and riders. The G Series debuts at the Dirty Kanza with two purpose built gravel wheelsets named the G23 (700c) and G27 (650b). 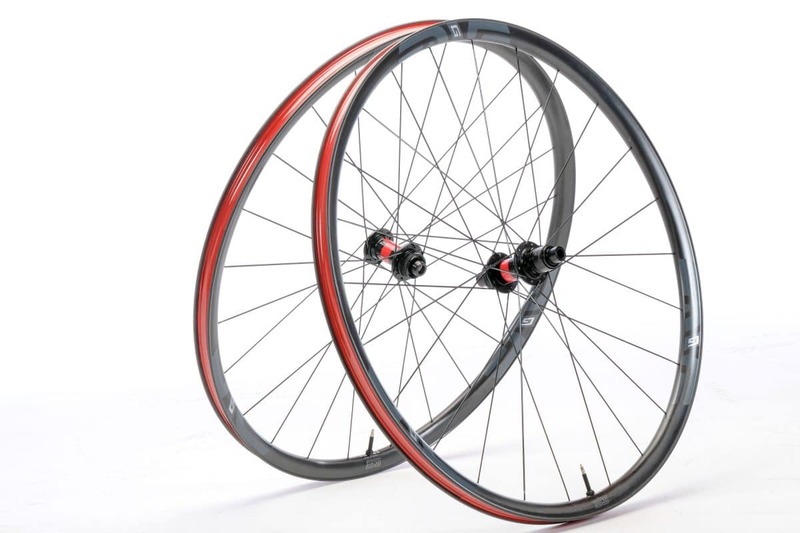 The G Series wheels meet specific design objectives that represent ENVE’s take on apurpose built gravel wheel. These objectives include lightweight for efficiency and speed, optimized rim widths for specific tire volumes, tubeless construction, anti-flat technology, structural durability, and unprecedented ride quality. Gravel is growing around the world and bicycle frame manufacturers are responding with new products that cater to the needs of gravel riders and racers. However, most high-end carbon and alloy wheel manufacturers are simply repurposing wheel models that were originally designed for road and mountain bike applications. While this is a solution, ENVE found that this practice leaves performance on the table and fails to deliver an improved ride experience. ENVE, as builders of the world’s best road and mountain bike rims, realized that the perfect gravel wheel did not exist in the ENVE wheel line or the aftermarket, and responded accordingly through the development and introduction of the G Series. 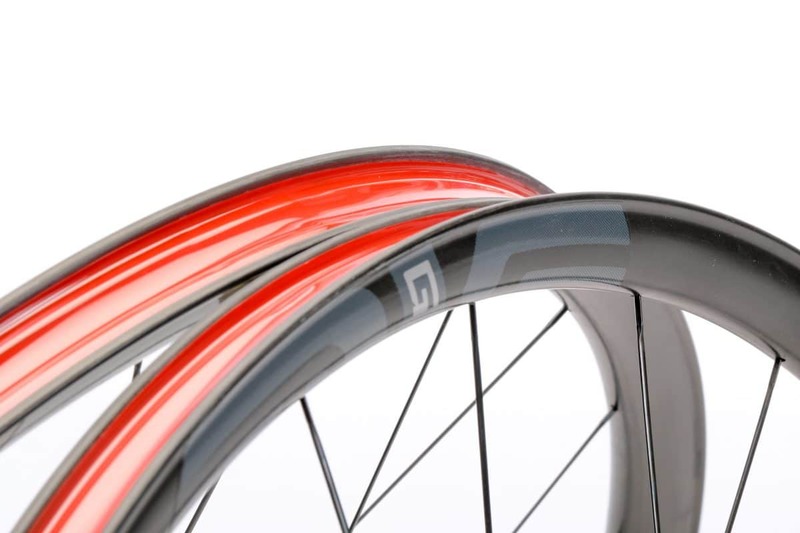 According to ENVE, the G Series full-carbon tubeless clinchers are the lightest weight clincher rims the brand has ever brought to production. At 330 grams and 320 grams respectively, the G23 and G27 rims can be assembled into wheelsets that weigh less than 1300 grams. ENVE’s VP of Product and Consumer Experience Jake Pantone commented, “Given that gravel bikes are generally unsuspended or at best, lightly suspended, we aimed to develop a rim with more vertical compliance and energy absorption to deliver more comfort, confidence, impact toughness, and ultimately speed to the gravel ride experience.”The G Series features a “bell” shaped rim profile that aids in weight saving and lets the rim respond dynamically to energy inputs from ground’s surface allowing for a more smooth and efficient ride. In terms of strength and durability, ENVE has been manufacturing the world’s most durable mountain bike rims for over a decade and claim that the new G Series wheels are tested to a mountain wheel standard that is tailored to the demands of gravel.ENVE was clear to point out that while the G Series qualify at a level lower than the M Series wheels, the G Series test above many other brand’s mountain bike wheels. As with all ENVE products, the G Series is backed by ENVE’s 5-Year Warranty which covers impact damage. Each G Series wheel model features ENVE’s Wide Hookless Bead technology that was introduced in late 2017 when ENVEintroduced their latest M Series. As the naming suggests, the Wide Hookless Beads are unconventionally wide at 4.5mm. According to ENVE, the purpose of this technology is to reduce the likelihood of pinch-flatting your tubeless tire or cracking the rim. The technology accomplishes this task by working in parallel with the rim’s shape and carbon laminate to absorb and dissipate impact energy thus protecting the tire from pinch-flatting and the rim from cracking. “The inspiration for the Wide Hookless Bead technology comes from sitting on the side of the road or trail fixing flat tires. We understand intimately that nothing puts the damper on a fun ride like a flat tire. In gravel, the problem is exacerbated given that tire volumes and tire pressures are lower than you have in mountain biking, but with gravel, the bikes have little to no suspension. 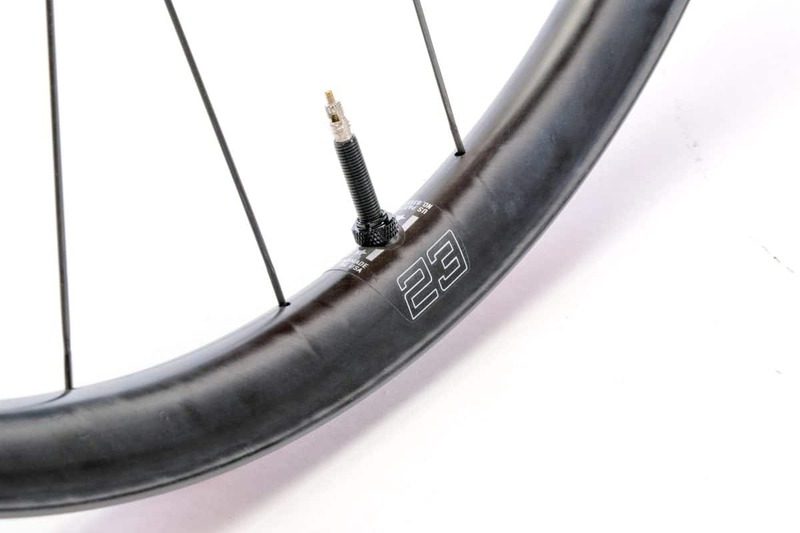 The Wide Hookless Bead technology can eliminate pinch-flats and allows riders to run their perfect tire pressure,” stated ENVE Design Engineer Clint Child. The G Series G23 is a 700c rim that features an internal rim width of 23mm and is optimized for tires between 35 and 45mm. Rider’s looking for maximum versatility, speed and efficiency will gravitate towards the G23 paired with a 40mm tire. The G Series G27 is a 650b rim that features an internal rim width of 27mm and is optimized for tires between 2.0 and 2.25 inches. Riders who frequent rough and loose terrain, primarily ride dirt, and prioritize traction and stable control over flat-out speed will gravitate towards the G27. The G Series is available now and shipping to North America customers. Global shipments and availability will commence in early July. For more information visit ENVE.com or your local ENVE retail partner.